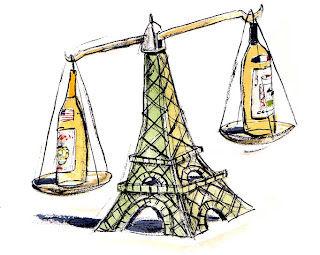 This is one of the many wine column illustrations I did for the late and much-lamented Gourmet magazine. It was a delightful gig over many years. But magazines never send illustrators to France. 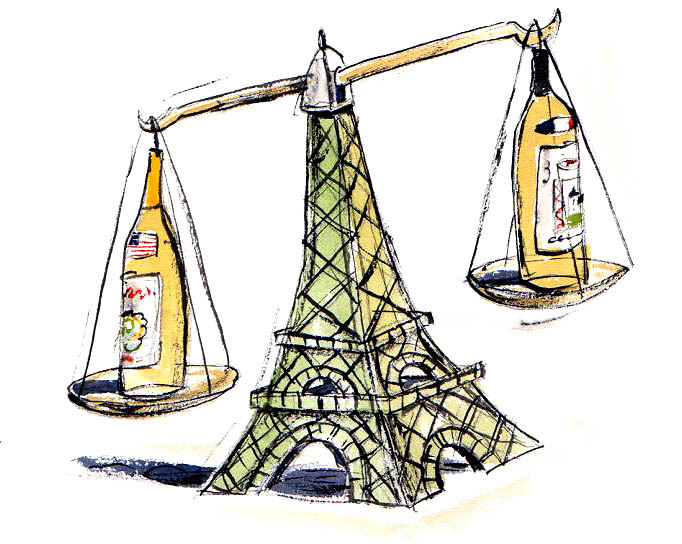 This column was about the rivalry between French and American wines. Art directed by the suave and avuncular Irwin Glusker.